MICHAEL: Hello and welcome to Mr. Custody Coach’s Blog Talk Radio program. I’m Michael, here with my partner Lexi, again. MICHAEL: And of course, we are from Mr. Custody Coach.com. Please visit our website today and purchase our newly released e-book on creating custody agreements, for the introductory price of $19.95. We believe you will find it a valuable resource for starting your plan for a quality parenting arrangement that benefits both the parents and the children, and it’s free if you join the site. Today’s topic is Choosing a Divorce and Custody Attorney, and we have a great guest with us today. Bill Eddy is President of the High Conflict Institute, based on Scottsdale, Arizona. Bill is a Certified Family Law Specialist, in California, with 16 years experience representing clients in Family Court, and a Licensed Clinical Social Worker with 12 years experience providing therapy to children, adults, couples, and families, and psychiatric hospitals and out-patient clinics. He is Senior Family Mediator at the National Conflict Resolution Center, in San Diego, California. BILL EDDY: Thank you. Pleasure to be here. LEXI: So, one of the biggest reasons we’re doing this is that you really concentrate in high conflict personalities, people who are going through the Family Court system, and these are the clients that we deal with. So your information is absolutely timely and needed for our clients. So, we are really looking forward to this. MICHAEL: Bill, we have read, several times, actually, your article describing how high conflict personalities drive Family Court litigation. Can you briefly describe for our listeners what is meant when you speak of high conflict personalities? BILL EDDY: Well, with high conflict personalities, I’m really talking about people who are stuck. And we all have personalities, and it’s ways we think, deal with our feelings, and manage our behavior; that’s pretty predictable. So when you see a friend, you know what to expect. When you see a difficult person, you know, you kind of cringe, but you know what to expect. With high conflict personalities, it’s really an extreme way of behaving that keeps repeating and the person brings with them. So, when someone has a high conflict personality, the issue isn’t the issue; it’s the personality that’s the issue, the way the person deals with problems inappropriately and in extreme, and often surprising, ways. LEXI: That is the best way I have ever heard that put. It’s not the issue, it’s the person that is — revolutionary, to me, actually. It definitely explains what we deal with ourselves, and with our clients, but I’ve never heard it put that way. That’s just perfect. MICHAEL: Yes, many of the people with whom we interact, and even when we were in the — with our situation, when it was particularly bad, have a hard time defining what it is that we’re going through. Most people just don’t believe it. BILL EDDY: Maybe — let me just add a little two-part to this, and that is there’s two particularly striking characteristics. One is that the person doesn’t look at their own behavior. They really can’t reflect on what they’ve done, the way they are; they are just not aware of their part in problems. And the second thing is they don’t change their behavior; they keep acting the same way, even when it gets bad results. And so, when you see those two aspects, lack of self awareness, lack of change, that’s how you often know you’re dealing with a high conflict personality. LEXI: — you should just work it out, and it’s not possible because they don’t have the ability to look inside themselves. LEXI: So what percentage of divorce and custody cases, especially, that are in the court system do you think are attributed to high conflict personalities? Now, the way I see it is those cases are ones that have one or more people with a high conflict personality involved. In other words, you don’t have a case that’s high conflict unless there is someone who is stuck, and all the time Family Courts are dealing with difficult issues, but they’re getting resolved. The high conflict cases are the ones, like one of the Family Court Judges told me is, is basically, when it’s larger than three inches thick file, you know it’s a high conflict case because most divorces are, you know, an inch or less. There is the paperwork for the final terms and that’s it. So, it’s when it escalates, seems to be, I’d say, about 20 percent, from what I see. MICHAEL: So, if somebody, for instance, saw my attorney walking into the courthouse with a dolly and several boxes? BILL EDDY: Exactly. That’s a lot. MICHAEL: That would be a high conflict divorce and custody situation. BILL EDDY: Yes, and it’s sad to say, but I’ve been involved in some high conflict cases that went more than 10 years. It’s tragic for the kids, and really for everybody. It’s a tragedy that things can escalate that much. LEXI: Yes, and we’re on year five. LEXI: We have at least five more to go. LEXI: I think the problem is that because the court is so adversarial, when you have a high conflict personality it’s kind of a playground for them. BILL EDDY: Exactly. It’s almost like a stage and it’s sad but I think, for some people, they really are addicted to the drama and drag a lot of other people along with them, and it’s not because they’re really having fun or they really enjoy that, it’s, somehow, that’s a way they feel validated as a person, and that’s really not what court is for. It’s not supposed to be validating a person; it’s supposed to be about legal decisions, and then you move on. LEXI: — we would term “ASB,” attention-seeking behavior, and whether the behavior is positive or negative, they are getting reinforcement for it. And so, if it makes them feel better to have that attention, they’re going to keep doing that because the Court is going to keep letting them come back, whether their problem is something that they should be hearing or not. BILL EDDY: Right. Right. And the court structure is really an awkward fit, and the Judges know that. They really struggle to try to balance things, at the same time making good decisions. But the structure really, it’s amazing, it’s almost, like you said, a playground for people with personality problems, because they’re not able to, in a sense, get listened to in other settings because their behavior makes people not want to listen. But in court, everyone gets listened to, and so it kind of reinforces that. And in Family Court, issues can always be brought back. Custody, visitation, child support; you can’t close the door on those issues. The Court always has to be allowed to hear them. So what happens is those are the ones that are the high conflict cases, that come back a lot. I mean, it may be reasonable to come back for six months, 12 months, maybe even two years, but after two years it’s really, golly, it’s just so hard on the kids, and my experience is it often does take about two years for the Court to really understand the case, but then, if you have a new Judge, you’re almost starting over again. MICHAEL: And I would actually agree with that assessment. I mean, things — things, for me, have certainly settled down considerably, over the years, but your two year mark was about right, when the players, the Judge, the attorneys who are involved really start to recognize what the truth — I mean, I use the term loosely — what the truth of the situation is, wherein the problems really lie, and then start making their judgments accordingly. BILL EDDY: Right. Right. And some people give up before they get to that point, which is sad. MICHAEL: Yes. We’ve talked to those people, too. LEXI: Yes. So, do you — have you found a high conflict personality person kind of gravitates towards high conflict attorneys? BILL EDDY: In many cases, yes, and what’s interesting is a lot of Family Law attorneys will agree with this, because they see there’s some high conflict attorneys that are in court all the time. When we get a case and it’s a high conflict attorney on the other side, we know there’s a really good chance we’ll be in court rather than settling a case, even if it’s a very small case. I have had full-day trials in cases that should have been an easy settlement, but the party on the other side wanted a very high conflict attorney who was willing to fight about every issue. I had a case where we have had to reverse some decisions on appeal because a high conflict attorney had such a flurry of issues, minor issues, and such a flurry of emotion that a relatively new Judge just gets some of that stuff wrong, and that’s a clever tactic, but it’s really harmful to families, I think. Fortunately, it’s a minority of attorneys that I believe are what you would call “high conflict attorneys.” Maybe the same percent, maybe 20 percent, maybe less, but they often get the most high conflict cases and help make them high conflict. So, I think part of what attracts high conflict people is the emotional and aggressive energy; they like that. But in reality, the most aggressive attorneys are not often the ones most respected by the Judge. LEXI: Yes, that’s kind of where I was going to go with my next statement, sort of question, is that I think high conflict people are so, as you explain in your book, Splitting, they’re so emotional, and even though what they may be saying isn’t true, they feel that it’s true. LEXI: And so, they’re very convincing. And we’ve dealt with, you know, attorneys, that, on the other side, don’t even question their client, you know. Their clients are telling them that they have police reports and, you know, they’ve been arrested for abuse and all of this stuff, when it’s literally not true. And when it comes to court, they can’t produce those documents. LEXI: And you look at their attorney and go, how did you not check on any of this? LEXI: But they’re so caught up in the emotion that their client is such a victim, because of how emotional they are, that it’s a huge, huge issue. MICHAEL: I was going to say that, you know, a person who has had to deal with a high conflict partner is very often intimidated by the process of finding an attorney who is going to listen and understand that the person with whom they are going to be dealing with, the high conflict ex or soon-to-be-ex. What is the first suggestion you would make to that person, to set their mind at ease and get them mentally prepared for the process? BILL EDDY: Well, I think the first thing is, is pacing themselves and getting a lot of support, because even finding an attorney is a process. And I think interviewing attorneys, getting referrals from other people who felt satisfied with their attorneys, talking to mental health professionals who have dealt with attorneys in your county who handle divorces and have handled high conflict cases. So, I think it’s letting people know not to be rushed into this or to grab the first attorney that looks, you know, so aggressive or so exciting that that’s what they want to do. Of course I would suggest reading the chapter in my book on finding an attorney, because I think that it helps people be realistic. Like I said, maybe 20 percent are the high conflict attorneys, but 80 percent aren’t, and there’s a lot of good Family Law attorneys that people don’t really know about because they actually do good at their job and don’t make a lot of noise, and the Judges respect them. So, I think just understanding it’s a process to go through, have support, ask questions, and just be familiar with it as a process, rather than a quick decision. LEXI: Yes, I think that’s one of, kind of — I don’t want to say mistakes, necessarily, but a problem at the beginning is that most people haven’t been through, you know, a divorce or a separation or a custody process. MICHAEL: Or any legal proceeding. LEXI: You know, finding someone that they mesh with, that will really listen to the problem, and even knowing what to tell them so that they can help them in the appropriate manner, you know, is sometimes almost impossible just because they don’t know what they’re up against. BILL EDDY: Yes. Yes. And that’s part of why I wrote Splitting, was to let people just know what to expect because I try to say here’s all the kind of problems that will ordinarily happen in a high conflict case, don’t be caught by surprise and don’t be blown away by things. Just pace yourself and try to deal with things step-by-step. MICHAEL: That really is an excellent book. I actually did the review of the book on Mr. Custody Coach.com. I highly recommend Splitting: Protecting Yourself When Divorcing a Borderline or Narcissist. I can tell you that, I guess that fairly, I would say the middle of the really bad parts of my divorce and custody proceedings, and it really it helped get me calmed down. I had a great attorney and the book, the book just was like an extra piece that really helped me calm down and focus on what I was dealing with. It was about the same time I had discovered borderline personality disorder, which is what I think I’m dealing with or have dealt with in my own situation, and a really, really important book and I highly recommend it. BILL EDDY: I might just quickly add it’s not available on Amazon. So they need to get it either from whatever link you have or our website, or — that’s the best. LEXI: And I believe we have a link on our website. LEXI: Where they can order it, as well. MICHAEL: If someone currently has an attorney, Bill, what are some of the red flags they could identify which might indicate that their attorney can’t handle a high conflict case? BILL EDDY: Well, I think there’s two characteristics: One is the attorney becomes highly aggressive with their client, blaming the client, angry with the client, et cetera, on the one hand; or, on the other hand, is avoiding everything, avoiding dealing with the other side, avoiding calling their own client back. So, it’s really, it’s a good framework to think of, is the fight-or-flight response. When people deal with high conflict people, high conflict people have overly aggressive behavior that automatically triggers within the average human being the fight-or-flight response. You have to manage that fight-or-flight response so that you’re not overly aggressive or overly avoidant and fleeing. And so, not only does the person going through the divorce have to manage themselves, but you want an attorney who is good at managing themselves. MICHAEL: That would have been my next question. BILL EDDY: Oh, good, okay. BILL EDDY: So, yes, is how do you handle high conflict cases, and then sit and listen and see what they say. If they say, oh, I nail the other person to the wall and I do all these things, you don’t want that attorney. That attorney is too aggressive. If they say, I don’t have high conflict cases, all my cases settle and it’s really not that difficult, you don’t want that attorney. You want someone that says, I have dealt with a lot of high conflict cases and I know we’ve got to go through different steps, and whatever they tell you, it will communicate that they’re not really rattled by these cases, and that’s what’s real important. If they’re not rattled by these cases, if they can just work through, pace themselves, do the motions, go through the steps that are needed, gather information, et cetera, then that’s good. The other is how do you communicate with your client in a high conflict case. So those would be the two questions, the most important to ask, and the way they communicate with their client, if they say, I get called by the opposing party or the opposing attorney and they tell me that you have done something terrible over the weekend, is I’m going to call you up first before I believe them. That’s the kind of thing that you want the attorney to say, and you want the attorney to know there will be surprises. So, ask them; how do you deal with those surprises, how do you deal with the personal attacks, and see if you feel comfortable with their response. There is no right answer to these questions. It’s more do you feel comfortable with how they respond. LEXI: So, how do you handle — we have a lot of clients, and I would say even our attorney, in the beginning, we liked her but she wasn’t necessarily in-tune with high conflict personalities and what that meant as far as, you know, custody evaluations and all the steps that were going to have to be taken as the case progressed. And so, you’re in a position where you like your attorney, but you’re not sure that they can handle it, but you don’t want to take the time or the additional expense to find someone new and catch them up on everything that already occurred. What do you suggest to help your attorney get up to speed and knowledgeable about high conflict cases and personalities? BILL EDDY: Well, first, I would say, I think if you can communicate with your attorney pretty comfortably, that’s the attorney you really want to work with, unless they really don’t have any experience. And let me just add to this: Probably five years experience is a minimum for a Family Law attorney to be someone you want to hire with a high conflict case. Less than five years, they don’t know the law enough, they don’t know the strategies, et cetera. BILL EDDY: But let’s say they’ve got that and you like your attorney, but they’re not real familiar with high conflict cases. Then I would say, try to, well, of course, I would encourage them — and I’m really not trying to push a book but it would help them to understand. I have another book called High Conflict People on Legal Disputes that is, in many ways, written more for attorneys, Judges, counselors, dealing with helping other people, as professionals, go through legal disputes. But helping them get educated and just talking with them, give them an article, give them a chapter out of a book, and perhaps encourage them to talk with someone else that you’ve heard has expertise in this area. One of the things to really watch out for is not changing attorneys a lot. High conflict people have a reputation for bad relationships. And so, when you see someone come into court, you see a couple come to court, one of them is on their first or second attorney and the other has already had six attorneys, the Judge kind of thinks to themselves, I think I see who is having a hard time, here. So, it’s better, if at all possible, to stick with an attorney than to change a lot. And so, educate them, predict problems. You could even walk in with a list of problems, hey, I think my spouse is going to blame me for all kinds of things and you’re going to believe some of them, so please check with me before you make assumptions. I think they’re going to send a flurry of letters or demands, or this or that, and so encourage the attorney to take an assertive approach; don’t ignore these things, but don’t overreact. So, to some extent, you can predict for your attorney what the problems will be. I can tell you, because they are predictable; it’s a very patterned type of behavior. Go ahead. MICHAEL: I think one of the other things, too, is for the client, themselves, they need to have the confidence and establish the rapport with their attorney, so that they can explain these things, and also, and be believable about them, be convincing about what the attorney is about to be embroiled in so that you both can work towards a solution that is going to be effective. BILL EDDY: Right. Have an agreement that we’re not going to believe rumors, we’re always going to check them out about each other, because just like the attorney will hear that the client has acted badly over the weekend, the client will hear that their attorney is unethical, immoral, untrustworthy, all these terrible things, and don’t believe those either, even though it may be tempting. Have a rumor control agreement, you know, we’ll check with each other before we make any assumptions that things are true. LEXI: Yes, I think that’s definitely important when you’re dealing with a high conflict personality because their status quo is to put everyone else down around you, to make you feel uncomfortable and like you’re not getting the support you have, so then you feel worse. It’s a continuing cycle. LEXI: — biggest things that we see with clients. Everyone that comes to us, we have some open forums on another website, and they all just go, you must be divorced from my ex-wife. LEXI: It’s the exact same thing. And we hear it over and over and over, and it’s really scary that there are so many. I mean, what are the statistics on borderline personality disorder, like eight percent of the population, or something? BILL EDDY: Well, six percent. Just — a huge national study was just published last year, I think it was July of 2008, and it came out, I think it was 5.9 percent of the general population. However, they broke it into four age groups, and each younger age group has a higher percentage. So the indicators are this is increasing; although the people in the study thought maybe it fades with time, there isn’t a lot of evidence for that, and there is evidence that it does seem to be a large and growing number. But six percent of 300 million people, that’s, what’s that, 50 million? MICHAEL: A lot of people. BILL EDDY: Is that right? No, six million. I don’t know, my math is terrible with that. LEXI: But it’s a lot of people and to — I know no one has done a study on it, but it would be interesting to see how many, what the percentage is in divorcing families. LEXI: Because it’s clear if they have unstable relationships, more of them are going to end up in the Family Court system. BILL EDDY: Yes, and the Family Court system is more than ever flooded with these high conflict cases. The Judges, in California there is a commission appointed by the Supreme Court to study how to make Family Court more user friendly for families because there’s such an inundation of this, and it’s tragic because courts are not well equipped for solving these problems and just the process of taking sides escalates. The average person can go to court, have a decision made and walk out, go, okay, that was a legal decision, let’s say like a business dispute or something, and keep it separate from their life. 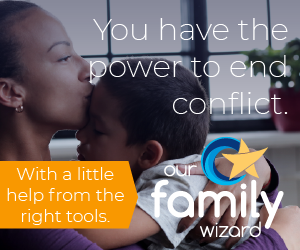 With Family Law and Family Court it’s impossible to keep it separate from your life. You can’t just have a decision and then go, oh, okay, that’s how we’ll solve that problem and put it in the past; it’s about your daily life. BILL EDDY: It’s very hard. MICHAEL: It dictates what’s going to happen with you, your family, and your interactions, and even those in the extended family, how often you get to interact with people who have been a part of he children’s lives for some time. LEXI: Yes, I think it’s actually one of the biggest problems that we see with clients, is that when you go into a system you really do think, once you have that order, that’s it, that’s going to solve the problem, you’re not going to be back there, you’re done paying your attorney, you’re not going to have to have contact with this person, and it’s just not true. More problems come up, especially if you’re getting stuck in, you know, a standard custody agreement that doesn’t outline specifics, you know. MICHAEL: Hell is the word. LEXI: Hell is the word. You don’t want to say it on the radio, but that’s what it is. BILL EDDY: Let me add a comment, a comment here because that’s such an important point, is orders need to be very specific and be prepared for them to be violated. I was, just last week, speaking at a group of attorneys and our presiding, or supervising Family Law Judge also spoke, and she said that when you come to court, have a very specific request for the orders you want, in high conflict cases, because they need a lot of detail so that there isn’t too much wiggle room and dispute. And I think a lot of people don’t realize that, that the Judges appreciate very specific requests, rather than feeling like you don’t want to tell the Judge how to do their job. BILL EDDY: — more specific. MICHAEL: One of the things that we tell people is that there is no language that you can put in a custody agreement or custody order that is going to stop somebody from violating it. MICHAEL: And what we aim to do is help guide people to come up with a plan that gives them the chance that there will be some recourse when that inevitable violation does occur. MICHAEL: And that’s try to add the right — like we talk often about — an appropriate level of detail. There are issues where detail is critically important in the plan, itself: Days that they’re going to spend with each parent, where and when exchanges are going to take place, and some of the other issues, such as the specificity of phone contact. You have to be really careful because with a high conflict situation, we’ve encountered people who had a specific phone contact plan, as an example, where the father was going to be able to call every single night between 7:00 and 8:00. And what this father did was he was calling every night, which is a good thing on the surface, between 7:00 and 8:00, but he was so controlling that he would want to keep his children, some as young as three, on the phone for that entire hour. MICHAEL: We tell people that, particularly with regards to phone contact, that you have to be careful because if you put every day between 7:00 and 8:00 in the order, the high conflict personality has an expectation that there is nothing else that is ever going to go on in your life between the hours of 7:00 p.m. and 8:00 p.m. every night of every week of every month or every year. So you have to really pick and choose the right places to add the specifics. BILL EDDY: Very good point, yes. I might add to that because I’ve had that situation so many times. The idea that a lot of people are discussing now is parallel parenting, where you structure an agreement with minimal contact between the two households. So when parent — when the children are, say, with mom, they’re not getting phone calls from dad; when the children are with dad, they’re not getting phone calls from mom. It’s very unfortunate and counter to what we wanted, but with really high conflict cases it brings some peace to the household that they can’t have like with a daily phone contact order. I have had some very highly controlling, manipulative people who call right before bedtime, and then the child is all wound up and angry at the parent they’re living with that week or that day. And so, it’s really a problem in some cases. So, I don’t want to recommend that in the majority of cases, but in extreme cases that has become a solution. LEXI: Yes, we are definitely proponents of parallel parenting. We actually pretty much preface our household on that paradigm and it works very, very well in seriously high conflict cases. LEXI: So, in the book, Splitting, you actually coin a term which I love, which is “negative advocate,” and how does this work with specifically a negative advocate attorney, and if your high conflict ex has one, what are the chances that you’re really going to be able to negotiate and reach a settlement with that attorney? So, even ordinary attorneys sometimes become negative advocates by promoting something that might not even be true because they didn’t check it out, as you mentioned at the beginning. BILL EDDY: So you could be a negative advocate, I could be a negative advocate; we probably have been for family members, off and on, and then we go, oh wow, I thought you said such-and-such but now that’s not accurate. Some attorneys are persistently negative advocates; maybe they have high conflict personalities themselves, so maybe this is that 20 percent that I talked about, and they will argue and fight for whatever their client tells them and they’ll escalate it to a new level. They resist settlement, often, but more and more court procedures require some efforts at settlement, and so you may have a shot at settlement with these folks. In terms of will they settle, I’ve had them settle in many cases, but they’ll push for extremes, and so you have to take that assertive approach that I talked about. If you over react and are too aggressive back, then they point the finger at you and say you’re being a high conflict person. BILL EDDY: I had a high conflict attorney once, we were in court, he points his finger at me and says, and Mr. Eddy failed to negotiate as required under the local rules. The Judge looks over at me, kind of quizzical, because that’s not my reputation, and so I eventually had to write this whole explanation. The Judge read that explanation and said, I don’t see any problem here, next issue. It wasn’t that simple, but some high conflict attorneys make things personal, et cetera. So you have to respond them assertively. If they make allegations that are false, you have to respond with information but not anger. If they send two letters a day, you might send one letter every other day back saying, I don’t agree on this, this and this. You have to clear up information. MICHAEL: Yes, that certainly has been our experience and the experience of the people who seek our assistance, and I think we saw that with my ex-wife’s first of several attorneys, would definitely fit the description, at least as you articulated that today, of the negative advocate attorney where there were things that there would be motions for the most nonsensical things that you can conceive of, and definitely negotiation was if you didn’t give them everything that they asked for, you failed to negotiate. BILL EDDY: Right. Right. And sometimes they believe that. MICHAEL: I believe, I believe that’s the case. MICHAEL: And my follow-up to that question would be, are you seeing, being in the legal field as long as you have and working with the families, are you seeing changes in the Family Court system that might help better identify and deal with high conflict personalities, anything specific? BILL EDDY: Well, a few changes that we’re starting to see, and they’re small changes, in some cases the courts are trying to be more firm about discouraging people from coming back to court over and over and over again, and not having as many hearings or requiring a period of time before they can come back. I speak also to professionals, et cetera, in Canada, and they are also looking at that where they’re telling some people you can’t come back for a while. I don’t know if we’re going to see much of that. In California, there is the Elkins Task Force. Mr. Elkins represented himself and had his case taken all the way up to the California Supreme Court because he wasn’t allowed to present all the evidence that he had because he didn’t do a proper declaration, and he wanted to present it orally, I guess, and the Supreme Court said, yes, he should have had that opportunity and we’re creating a task force to look at the procedures of Family Court to make it more manageable and accessible for people, including those representing themselves. There is nothing real specific about high conflict people with that and it’s a mix bag because, in many ways, they make the Court process more focused on oral evidence. In many ways, that’s the kind of thing that high conflict people like to do is to complain a lot in public, and possibly could misuse that. I think having services that help families, in California, again, we have what is called the Family Court Facilitator, which informs people some about the process, helps them fill out forms. This may discourage some of the high conflict activity, but in many ways the high conflict cases are what’s left. So, and the other thing I wanted to say is training. I’ve been training a lot of Judges lately; they’re saying we need more tips for how to handle high conflict personalities. BILL EDDY: We’re starting to realize this is a problem. MICHAEL: — that you were somehow, you were somehow the bad guy. So I just wanted to say that I hope, during your training with the Judges, you educate them as to the positives of parallel parenting in high conflict situations. That would go a long way, too. BILL EDDY: — it has to be presented that way, so you don’t get, you know, targeted as way out of bounds or something. LEXI: — maybe it is just one person causing the problems, and so we need to stop this avenue where they can continue to do that. They think, well, it’s both of you and you just need to stop acting like six year olds and talk to each other. BILL EDDY: Right. And you get that over and over and over again, and it isn’t just the Judges; you also get that from a lot of counselors and from some attorneys, because that’s the culture of Family Court. Really when it became a no-fault divorce court, which started in 1970, and by the mid-1980s, you know, cooperative, mutually supportive, shared parenting was the expectation, and so they really try to just talk people into it, and the reality though, research shows, is about 25 percent of families, after divorce, are like you described, Lexi. Getting along pretty well, involved at the same events, et cetera. About 50 percent are a de facto parallel parenting, where the former parents are very minimally involved with each other, but aren’t in conflict. It’s just they’re each going on with their own separate lives; there isn’t much interaction and that’s okay. That’s about 50 percent. About 25 percent are considered the high conflict cases where there’s still a lot of hostility, there’s tension, et cetera, and, frankly, it’s healthier for kids to have parallel parenting than to try to push cooperative parenting if it’s been tried and doesn’t work or in the indicators are it’s not going to work. So I think the main thing is that people kind of educate their counselors, Judges, attorneys with this new approach and say, reluctantly, this is what I think would work best, and then they may be more open to listening. BILL EDDY: Good. Because it alienates the Judge, it alienates attorneys, counselors, and everybody. So, instead, it’s much better to describe the behavior and say, Your Honor, because of this event and this event and this event, when this and this happened, that’s why I’m requesting parallel parenting, rather than, hey, look, it’s obvious my spouse is a borderline or narcissist. That just backfires. The other thing is I believe it’s so important, in today’s court system, to communicate to professionals that you’re not trying to eliminate the other parent. BILL EDDY: No matter how bad you think the other parent is, if you come across as someone trying to eliminate the other parent, you’re going to alienate the Court, Judges, et cetera. So, have a flexible plan that includes the other parent, even if it’s a minority of time, is emphasize that you want that relationship to exist, so that you don’t trigger an overreaction to yourself. MICHAEL: Well, one of the things that, you know, we’ve talked about, choosing an attorney, some of the questions to ask, some of the things to expect when you go to court, and I wanted to talk about some of the efforts that you’ve undertaken recently to perhaps keep people out of court or not go back to court as often. So, I know recently you’ve developed a cutting edge program for separating and divorcing families called New Ways for Families, coincidently enough. MICHAEL: And that’s designed to prevent families from becoming high conflict and potentially eliminate, or at least significantly reduce child alienation. Can you tell us a little bit more about what that program aims to do? BILL EDDY: Sure. It’s, it’s very new. The court is trying it in San Diego County. And if people are confused about locations, I live and work in San Diego County, my business partner, Megan Hunter, lives and works in Scottsdale, Arizona, which is the base for our High Conflict Institute. So that’s why we have kind of two, two locations. And we actually have New Ways for Families cases going in both of our counties. But basically, what it is, is, as soon as possible, having the Court order, or parents can agree if they could, to do this. It’s six weeks of parallel counseling. Each parent has their own individual counselor who doesn’t talk to anybody else; they’re not part of the legal case and they’re focusing them on practicing three skills to reduce conflict. And the skills are flexible thinking, managed emotions, and moderate behaviors, and by trying to do these and really practice these skills, not only will it help keep things calm, but it’s much less likely that the children will get hooked into taking all or nothing positions of alienation where they are all on dad’s side, against mom, or all on mom’s side, against dad. So, by having both parents go through this, there is no bad guy and it kind of resists some of the Court’s tendency to pick a bad guy, and then to switch who is the bad guy. So this is both parents, let’s focus on these skills. Then each parent has three sessions with the child or children, talking about these same skills, teaching these skills, hearing the child’s concerns in the divorce, and then talking with the child of the new ways their family is going to operate and how they’re going to support each other as parents. By getting that in right away, it’s kind of inoculation against becoming high conflict and against alienation. BILL EDDY: Yes, because alienation, in many ways, grows during high conflict court cases. I’ve had many cases where the kids weren’t alienated at the start of the divorce process, but within two years they had shifted towards one parent, and away from the other, in an all-or-nothing way. I had one case, a 15 year old girl writes a letter to her father saying, you know, I’m going to have to end our relationship, I’m just not comfortable with you anymore, and he had done nothing to be considered abusive or whatever. The child just resolved the issue by picking a side, and that’s what court does, generally, is picks a side. And so, it’s not surprising it filters down to children, unless we can try to work away form that, and that’s what New Ways tries to do. The other thing with New Ways is we’re really trying to help give parents skills to make the decisions out of court so they don’t have to use court as much to reach their agreements. And so, we’re really trying this out and emphasizing this. Any two parents could volunteer for this, but the courts can’t order it until it’s part of their court process, so we’re trying to get it into the court systems in several other locations. The best thing, if people want more information about it, is we have a website, www.newways4 — but instead of the word f-o-r, it’s the number 4. So it’s newways4families.com. LEXI: Fabulous. And you have a book coming out in January? BILL EDDY: Well, I’m hoping January. I actually wanted to say it may end up being February, but the book is really focused on the alienation issue and ways that everyone can help reduce the risk of that happening or, if it is happening, reduce the intensity of that. And the approach is really to look at what everybody can do to help kids and how emotions are contagious, and there has been a lot of controversy the last 25 years about alienation, and it tends to really polarize parents, polarize professionals, et cetera, because mostly people say the person is purposefully doing something. From my experience, the biggest issue with alienation is that emotions are contagious. You have a parent who is just crying a lot in front of the children, the children tend to say, oh, this parent is being victimized by the other parent, so I don’t like the other parent anymore. If you have children sleeping with their parents, six, seven, eight years old, I’ve had those cases. I don’t think the parents are talking about the other person, but the child is absorbing all of this. Then you see, you know, parents yelling and screaming, et cetera, or angry about the other parent, the children absorb all of that. So, it’s really about how to take a supportive approach to parents, rather than a blaming approach, and teach behaviors that protect children from intense emotions, that protect children from all-or-nothing thinking, that protect them from extreme behaviors. So it’s really a non-blaming approach, and it also says everyone has to work in a positive direction on this, not just parents but relatives, not just relatives but counselors. Counselors could be some of the problem sometime. Lawyers; lawyers can become part of the problem sometimes. And Judges, too, inadvertently. I’ve had some Judges that were very angry and they got very angry at the parents, thinking they were going to set them straight, but emotionally escalated the conflict and it backfired. So it’s teaching everybody how to be calm, reasonable, flexible and moderate. So that’s the — that should be out hopefully by February, maybe even January. MICHAEL: And the name of that book again, Bill? BILL EDDY: Well, we’re actually struggling with the name of the book, but it will have “alienation” in the title. BILL EDDY: It may be Don’t Alienate the Kids in Separation and Divorce, or it may be A Thousand Little Bricks, which is my theory of the fact that alienation comes from what everybody around the child does, not just one parent or two parents. MICHAEL: Would it be safe to presume that when that gets, when that matter gets settled that you’ll have that listed out on the High Conflict Institute.com website? BILL EDDY: Yes, that will be the first place that people will know. So if they check in with us in January, even if it’s not out yet, we’d probably be able to tell you a launch date for that. MICHAEL: All right, Bill. Well, thank you very much for joining us today. I think it was an excellent show. You’ve provided us with a great deal of information, and we really do appreciate you coming on with us today. BILL EDDY: Well, thanks for having me. I’ve enjoyed speaking with you and helping to pass some things on to your listeners. So, good luck with everything, and thank you. MICHAEL: We’ll talk to you again. Bye-bye, now. LEXI: Okay. So, guys, if you missed any information, you can visit Bill’s website at highconflictinstitute.com. You can see his books and find more information on New Ways for Families, as well. MICHAEL: In closing, I want to thank everybody, again, today, for joining us and listening in. Please spread the word. I think we have some great guests that continue to be lined up offering a wealth of information that I think is helpful, not only to us, but to all the people who visit Mr. Custody Coach.com, listening to the Blog Talk Radio Program. As always, we’ll be happy to answer all kinds of questions on our private forums at Mr. Custody Coach.com. And again, we just released our first e-book entitled Creating a Custody Agreement, available at the Mr. Custody Coach.com website, on the e-books page, for a special introductory launch rate of $19.95, so do act soon. Join us next time on the Mr. Custody Coach Blog Talk Radio Program. We will post an announcement, just as we always do, on Mr. Custody Coach.com, for our next topic and associated guests. And always remember: Better prepared, better outcome. Thank you so much for joining us. LEXI: See you next time. General Business Transcription Services provided by ALM Transcription, L.L.C.